This morning, Stats Canada released the third quarter GDP figures indicating an expected slowdown to 2.0% growth (all figures quoted in annual rates), compared to a 2.9% pace in Q2. Over the first three quarters of this year, quarterly growth has averaged 2.2% which is down from the 3.0% annual growth recorded in 2017. 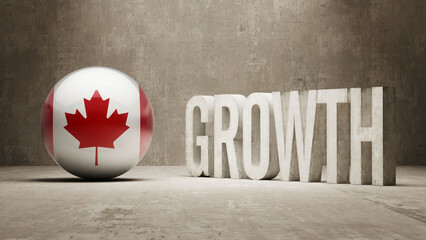 The Canadian economy is at or near full capacity, so slower growth is not a bad thing. However, while the headline growth of 2.0% was on trend, the details of the report are troubling. The bulk of the growth last quarter came from a contraction in imports--hardly a sign of a robust economy--leaving final domestic demand--which excludes trade--negative for the first time since early 2016. The softness in imports reflected a contraction in refined energy products as well as aircraft and other transportation equipment. The NAFTA trade battle over the summer took its toll on the economy as households and businesses sharply curtailed their spending. Consumer spending grew at its slowest pace in more than two years, while businesses posted an unexpected drop in investment and trimmed inventories. Consumer spending moderated, as overall household consumption rose just 1.2%, held back by durable goods spending (-2.7%) as Canadians bought fewer vehicles for a third straight quarter. The biggest surprise in the report was the sharp decline in non-residential business investment (-7.1%). Spending on non-residential structures fell 5.2%, while machinery and equipment spending, which includes computer software and hardware, plunged at a 9.8% annual rate. Business spending was weighed down by softer oil and gas investment. Though residential investment was expected to decline, the reported 5.9% drop in Q3 was more significant than expected. Despite an uptick in home sales activity, residential investment weakened as both new construction of housing and renovation activity pulled back (see Note below). Investment in new residential construction posted its largest decline since the second quarter of 2009 when the financial crisis was hammering the global economy. The uptick in home sales was reflected in a sharp uptick in ownership transfer costs, which includes real estate commissions, land transfer taxes, legal fees and file review costs (inspection and surveying). On the income side, compensation of employees rose 2.7% (4.0% on a year-on-year basis), leaving overall wage gains over the quarter at a modest 2.2% year-on-year. The household savings rate rose to 4.0% from an upwardly revised 3.4% in Q1. Looking at the monthly data for September, there was not much momentum going into the final quarter of this year. Monthly GDP in September declined -0.1% as just half of major industries expanded. It was mainly down in goods production (-0.7%) as oil and gas extraction pulled back, hit in part by maintenance work. Substantial gains in services (+0.2%) were not enough to keep the headline in positive territory. The projected further weakening in Q4 will be abetted by the transitory downward impact from the recent postal strike. The risks are on the downside for the Bank of Canada's forecast of 2.3% growth in the final quarter of this year. Currently, it appears that growth in Q4 will be closer to 1% than 2%. The headline 2% growth rate was spot on the Bank of Canada's expectation, but certainly, the Bank will note the weakness in the underlying data. Potentially more important is the deep reduction in the price of oil for Canadian producers already struggling with transportation bottlenecks that have been pummelling the energy sector and depressing growth in Alberta. Cuts in oil production are likely to hit economic activity in the current quarter, with a full recovery not expected until at least mid-2019. As well, the GM shutdown in Oshawa, Ontario raises concerns about the viability of the Canadian auto industry and adds to the weakness in the economic outlook. The two largest export sectors in Canada are energy and autos, so weakness in these sectors will keep the Bank of Canada on the sidelines in December, notably as consumers may well be tapped out. Markets had been expecting a rate hike in January, but the latest data suggest that the prospects of such a move have dropped significantly.